Following the briefest of glimpses earlier, it looks like we’re going to get a lot of teases for Duncan Jones’ Warcraft movie between now and Friday’s trailer. 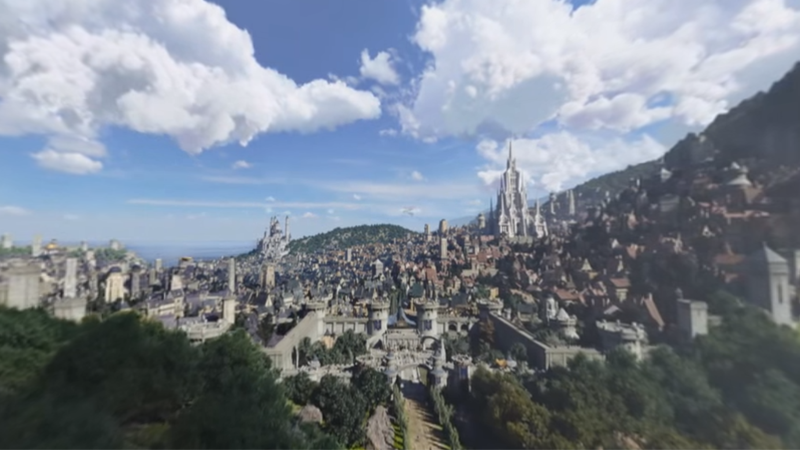 Although we’ve had the chance to already fly over the film’s recreation of the Human capital Stormwind City, this latest look at it is simply remarkable. World of Warcraft fans, it looks a bit different, doesn’t it? There’s a few changes aside from the much larger scale and density—eagle-eyed WoW fans will notice the city’s Cathedral and main Keep have been moved around, and the city Park is very much still intact unlike it is in the game, where it was destroyed by a giant dragon 5 years ago. It’s still even smouldering a bit, all these years later, because video games! But even then, it’s amazing at just how strangely nostalgic and evocative it feels, as someone who’s spent several periods on-and-off in that last decade digitally roaming around the city in World of Warcraft. It’s a digital recreation of a digital place that I’ve never actually stepped into before, and yet, it feels familiar. It’s a sort of bizarre tonal dissonance, to see the cartoony colored rooftops of each district, or to recognise landmarks like Stormwind Keep, and the Cathedral of Light, and the docks that players had to use to travel to other continents in the game, in such a realistic rendering. Somewhere in that sea of stone buildings is an auction house that I’ve spent far too much fake currency in buying crafting materials and gear for characters, and to recognise that—and then recognise that that is going to be something on an actual cinema screen next year—is a very strange feeling indeed. All it needs is a little music to get you nostalgic.